Little People are a Big Deal! Junior Camp at The Wilds of New England is a week long program particularly designed for kids who are 9-12 years of age and entering 4th-7th grade in the fall. One of our big goals in having a junior camp is to help juniors develop a deep love for God while they are young that will last their whole life. A junior who sets his heart on God when he is 9 will hopefully make good choices through his teen years which will then hopefully translate into a lifelong commitment to Christ. Who knows? Maybe the next great preacher or evangelist that God will use to start a revival in New England will be a junior camper at TWNE! Although it almost goes without saying, junior weeks are filled with energy! Because juniors have so much energy, our schedule is carefully designed both to let them use their energies as well as to let them sit quietly as they think and listen to God at appropriate times. From unique, crazy games on the ball field, to fun freetime activities (like the dodgeball pit, swimming pool, and Bazooka Ball), to services in the Meeting House and God & I Time, we are very intentional in our program schedule to give the juniors a good mixture of activity with reflective times. In between these 2 extremes, we have plenty of ice cream and carpet ball to keep them on the go! 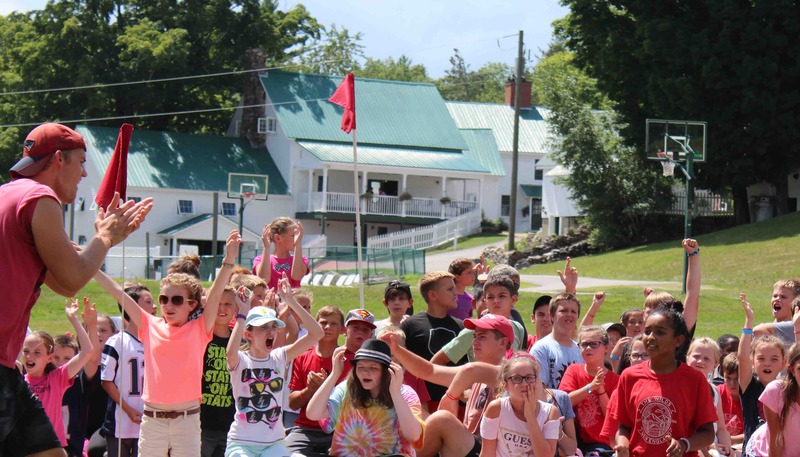 To get a better idea of what happens at camp, See our detailed schedule for more information. Just for clarity, we do not let 100 juniors run wildly over the campsite. No, we have about 20 counselors who run wild with them! As you might guess, the counselor's job is to be with the campers 24/7. It is their responsibility to have a blast with the kids, take care of their physical needs, and be available to help meet their spiritual needs. Reinforcements come in the form of another 25 operational staff who help serve the meals, lifeguard at the pool, and in general help take care of the campers and keep them safe. Together, our summer staff (both counselor and operational staff) form a unified team to meet the needs of the campers, regardless of what those needs are.